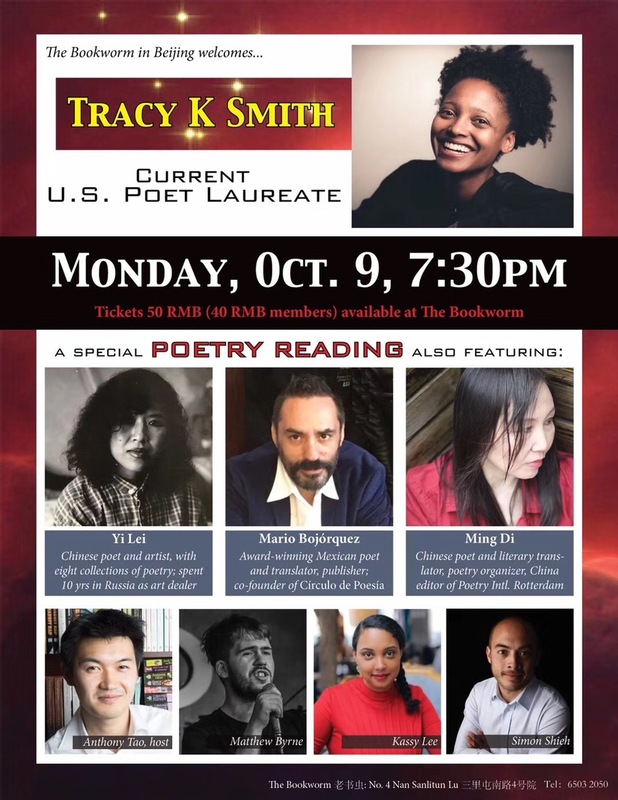 US Poet Laureate Tracy K. Smith is Coming to Beijing Bookworm - 2017年10月9日 星期一 19:30 至 21:00 - The Bookworm Courtyard #4, South Sanlitun Road, Chaoyang District, Beijing Phone: 10 6503 2050 老书虫 北京市朝阳区南三里屯路4号院 电话：10 6503 2050 Note: You can also buy tickets in person at The Bookworm, or reserve by emailing order@beijingbookworm.com or calling (10) 6503 2050. The Bookworm Courtyard #4, South Sanlitun Road, Chaoyang District, Beijing Phone: 10 6503 2050 老书虫 北京市朝阳区南三里屯路4号院 电话：10 6503 2050 Note: You can also buy tickets in person at The Bookworm, or reserve by emailing order@beijingbookworm.com or calling (10) 6503 2050. 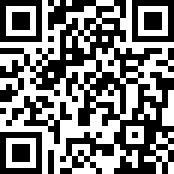 2017年10月9日 星期一 19:30 至 21:00 The Bookworm Courtyard #4, South Sanlitun Road, Chaoyang District, Beijing Phone: 10 6503 2050 老书虫 北京市朝阳区南三里屯路4号院 电话：10 6503 2050 Note: You can also buy tickets in person at The Bookworm, or reserve by emailing order@beijingbookworm.com or calling (10) 6503 2050. The Bookworm Courtyard #4, South Sanlitun Road, Chaoyang District, Beijing Phone: 10 6503 2050 老书虫 北京市朝阳区南三里屯路4号院 电话：10 6503 2050 Note: You can also buy tickets in person at The Bookworm, or reserve by emailing order@beijingbookworm.com or calling (10) 6503 2050. The Bookworm Courtyard #4, South Sanlitun Road, Chaoyang District, Beijing Phone: 10 6503 2050 老书虫 北京市朝阳区南三里屯路4号院 电话：10 6503 2050 Note: You can also buy tickets in person at The Bookworm, or reserve by emailing order@beijingbookworm.com or calling (10) 6503 2050. Smith will be joined by an all-star lineup, including award-winning Mexican poet/translator Mario Bojórquez, prolific Chinese poet/artist Yi Lei, and renowned poet/translator Ming Di. Rounding out the readers are community poets who are active in and have made significant contributions to the local creative arts scene: Matthew Byrne, the creator and managing director of Spittoon; Simon Shieh, editor-in-chief of Spittoon Literary Magazine and the Beijing Youth Literary Review; and Kassy Lee, co-founder of Transmigrant Flow and Asia coordinator of the Visible Poetry Project. Matthew Byrne is a British poet who completed his MA in Creative Writing from Manchester Metropolitan University in 2009. He is the founder and director of Spittoon, an arts organization and literary magazine based in Beijing with branches in Chengdu and Suzhou. He has overseen Spittoon’s expansion to include a monthly poetry, fiction, and slam poetry night in Beijing, plus a poetry-music collaboration called Spit-Tunes.